We may all be alive today thanks to two far-sighted women who died within days of each other this month. Imagine how many people would be living, if any, had the US-Soviet nuclear arms race exploded into World War III. Half a century ago, when the threat of such a war loomed large, Dagmar Wilson and Louise Reiss played key roles in convincing the public and national leaders to do something to avert catastrophe. 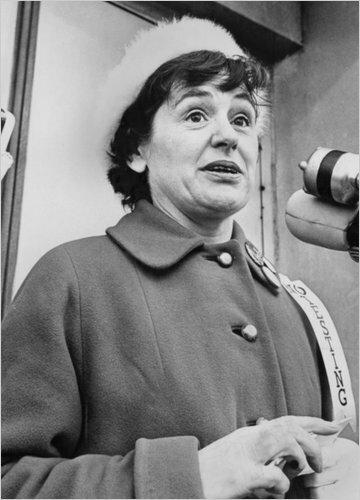 Wilson, the head of the Women Strike for Peace movement, in 1961 organized a telephone tree from her home in Washington, DC, to send an urgent message calling for ending the nuclear bomb tests that were an escalating edge in the bristling hostilities between the superpowers. The message was conveyed by a “network of 50,000 mothers, grandmothers and other women who left their kitchens and their offices for demonstrations in 60 cities across the country,” The Washington Post recalled this week. “Calling on President John F. Kennedy to ‘End the arms race – not the human race,’ the women won wide attention from world leaders and the press. They built such a groundswell of support for nonproliferation that Kennedy credited them with helping to force the Cold War superpowers to eventually sign a partial nuclear test-ban treaty,” The Washington Post’s obituary for Wilson noted. High among the concerns that sparked the Women Strike for Peace demonstrations was cancer risk from the radioactive fallout from nuclear weapons tests in Nevada, the South Pacific and the Soviet Union. That’s where Louise Reiss came in. She directed a research project in St. Louis, Missouri in the late 1950s that showed a disturbing rise of strontium 90 levels in baby teeth in Midwestern children. Strontium 90 is a radioactive chemical created by nuclear explosions that was known to cause cancer. Children were exposed through drinking milk from cows in pastures tainted by radioactive fallout. Another lesson is the importance of widespread, creative civic actions that focus public concerns. “The idea to form Women Strike for Peace, Ms. Wilson said, came to her in 1961 while she was sitting with friends in the backyard of her house in the Georgetown section of Washington. They were troubled by the jailing in London of the philosopher Bertrand Russell for his part in antinuclear demonstrations,” The New York Times recalled. Dagmar Wilson died Jan. 6 at age 94. 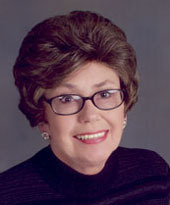 Louise Reiss died Jan. 1 at 90. They bought us all some more time to enjoy longer lives. I went back and read a little more on strontium 90. Nasty stuff. I remembered the controversy back then but not the details. It was pretty dramatic the way their findings showed the danger, then within a few years after atmospheric testing stopped, levels dropped just as dramatically. I also remember the drills in schools, getting under desks, etc — as though any of that would have made a difference. People who don’t know much about the Cold War and nuclear weapons tend to downplay all this, but the fact is that nuclear war was a serious and deadly threat. I also spent some time studying the “nuclear winter” concept developed by Carl Sagan and others, and I even had a chance to discuss it with Sagan in depth. As they showed, under the right conditions nuclear weapons detonations could destroy virtually all life on earth. The threat of their use may not be as imminent now, but the weapons still exist. During the Cold War, the threat mostly centered on two more or less rational state actors. Now…who knows?